A few days back, Portuguese footballer Cristiano Ronaldo said despite being 33 years old, he feels like having body of a 23-year-old. It’s the opposite for Spanish tennis star Rafael Nadal though. Asked about his ‘biological age’, the 32-year-old said he feels like forty even as he stressed that these things don’t matter to him. “Cristiano’s body is 23 years old? Then mine is forty-something,” he said. Nadal has a reason to say that, given the fact that 16-time Grand Slam champion’s career has been marred by injuries. “I don’t give much attention to those studies. I’m not interested in these things; I just play tennis. 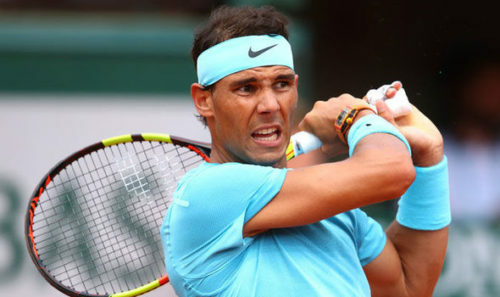 I don’t think you can know exactly how old your body is [in that way],” said Nadal, who was troubled by a chronic knee injury earlier this year as well. Meanwhile, Nadal will look to win a record 11th Roland Garros title when he faces Austria’s Dominic Thiem in the final on Sunday.